A very small sample of my published words. For more clippings, please email me via the "Contact" link on the left. Caitlin Doughty has been on the phone a lot lately, fighting with the California Cemetery & Funeral Bureau about what she can and cannot do with a corpse. A licensed mortician by trade, she's trying to start her own mortuary, or something like it. "Determining the new model will have a lot to do with figuring out what's legally allowed," she says. "Ideally I would go into families' homes and teach them how to take care of their own dead body - how to wash it, how to make sure its eyes stay closed, how to transfer it from bed to a casket - everything they need to know so that when the time comes, they could do it without me." With blunt, black Bettie Page bangs and cheerful blue eyes, Doughty, 29, looks more like a Disney princess than the new face of death, and that's at least part of what makes her message so palatable. Cartoonist Jaime Hernandez is happy to talk about Love & Rockets, the seminal indie comic series he's been writing with his brothers Gilbert and Mario for more than 30 years. Just don't ask to photograph him posing as a superhero. "It's a comic book about real people," says Hernandez, who admits he occasionally gets the superhero request anyway. 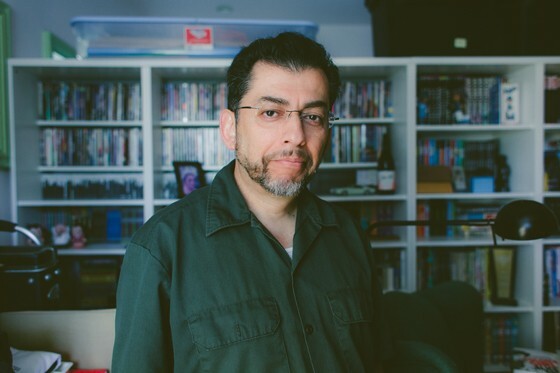 Distinct from the Marvel and DC stories he grew up reading, the comic features people Hernandez knew from his childhood in Oxnard and girls he met in the early days of the L.A. punk scene. It's an entire community of characters, each with a distinct history that has grown in depth and definition every year since the first issue was published in 1981, when Hernandez was just 18 years old. 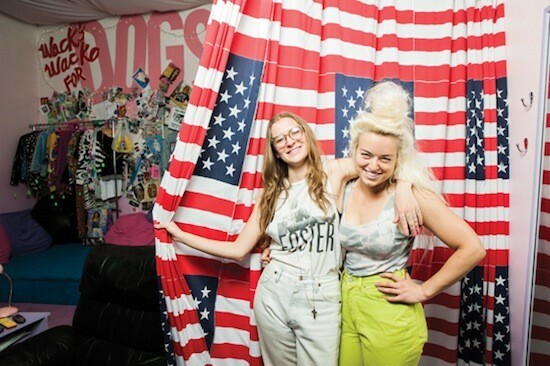 Best friends since preschool, Anna Dewey Greer and Christine (Tina) Stormberg moved from Omaha to Los Angeles to open a bikini shop that was also a life/art project and also a girly wonderland. A place where they could have haircut parties, fortune-telling parties and craft parties, and also drink margaritas outside. They called it Dog Show. And in the year and a half it's been open in Echo Park, it has become something of a scene. It's hard to open a business in Los Angeles. Many fold within the first year. The success of Dog Show has come even though the two art-school grads had no formal business classes. Or sewing classes, for that matter. And no retail experience, unless you count the time Greer worked at a balloon store.